Interestingly the track used for Gauge 1 has also been adopted for use in G-Scale modelling. Although the gauge is fixed at 45mm, it took several years before general agreement on the scale was reached in the UK at 10mm/foot, slightly larger than the near-correct proportions of 1/32 because this offered the advantage of a tad more room to squeeze in working parts. In practice, Gauge One models are 300 – 600mm (one to two feet) in length, which is about 50% longer than O gauge models and 50% shorter than “3 ½ inch”. 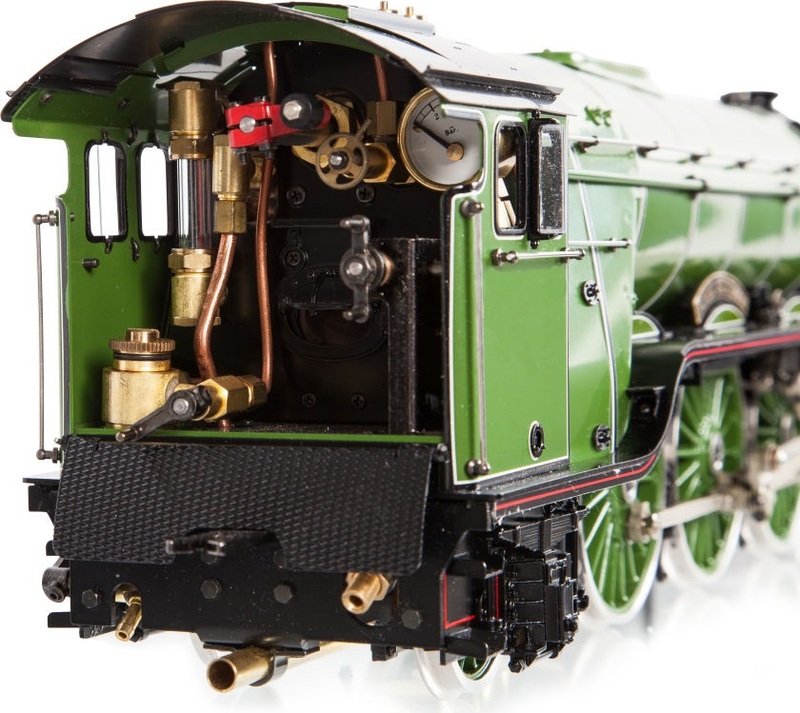 Another interesting observation is that Gauge 1 models were traditionally “live Steam” , the majority of modern Gauge 1 models are now manufactured to run from 12 – 24V, either AC/DC or DCC control . Modern sound and dynamic steam has also become common.